Bluffton High School Teens Rock! A few days ago I spent a lovely evening with some new friends at Bluffton High School in Bluffton, Indiana. 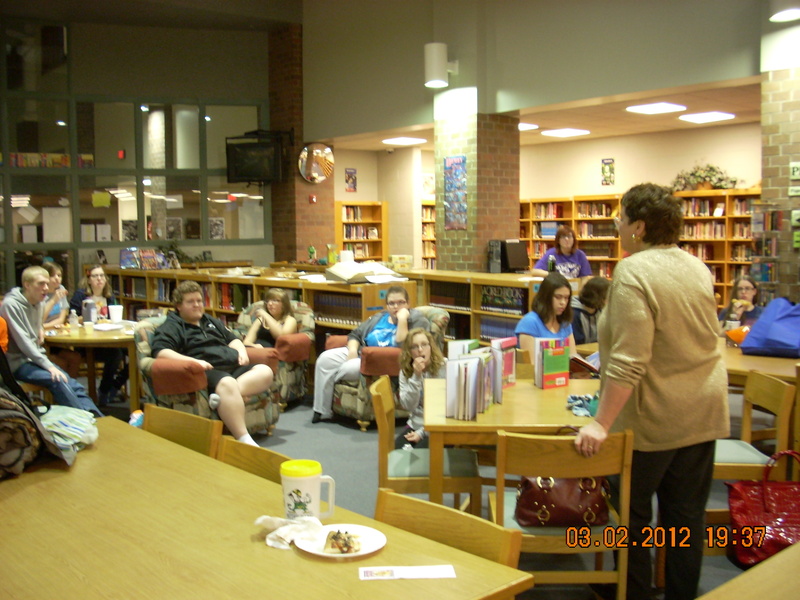 They included me in their “Overnighter” party arranged by the school’s librarian Terry Burns. What a great, fun idea! I wish I could have participated in something like this when I was in high school. 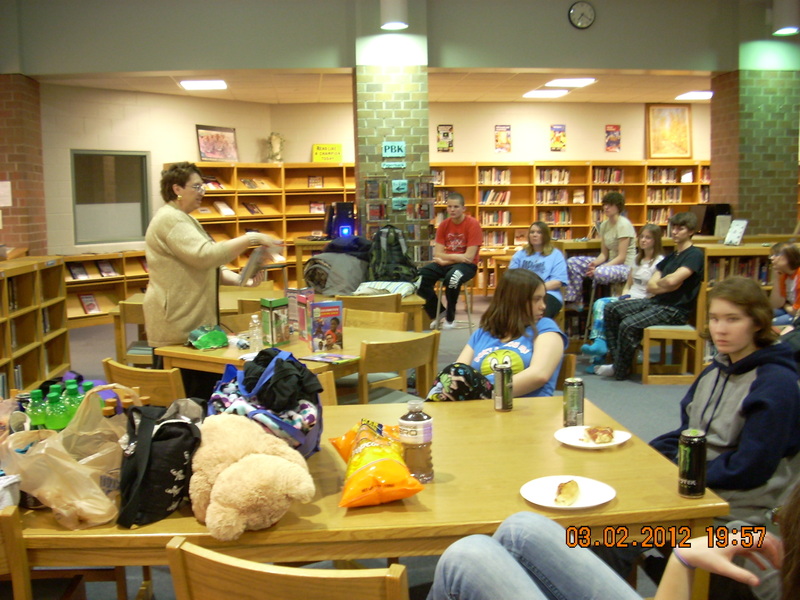 The teens got together to read, play games, chat, and just spend time together in the library of their school. It’s a beautiful setting with lots of room and of course, lots of fun food like Pizza! I talked with them about the subject of writing – how I got started, why I got started, why I kept at it after years of rejections, what it takes to find writing jobs and the joys of writing children’s books. I showed them my children’s books and shared some Indonesian candy with them. Several students asked questions and some indicated an interest in writing as a career or at least writing for the high school newspaper. Everything counts! It was great fun and I appreciated the opportunity to talk with this group. I’d love to share my knowledge of writing from 20+ years of experience. Free Writing Workshop can change your life!